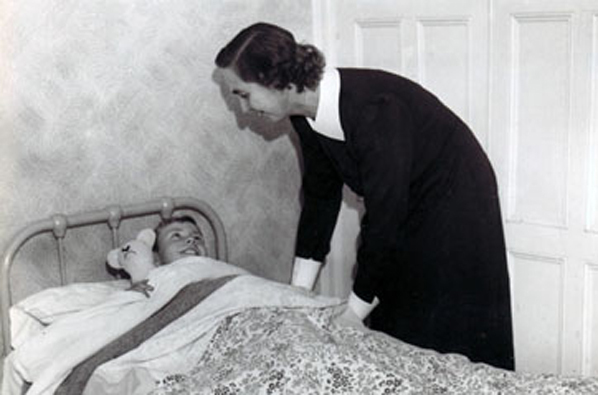 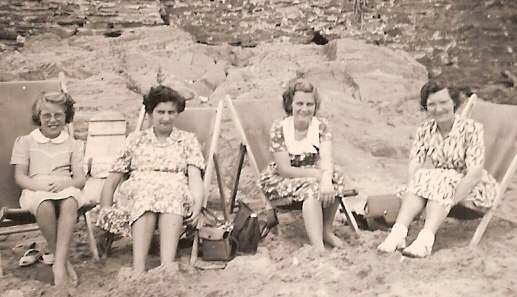 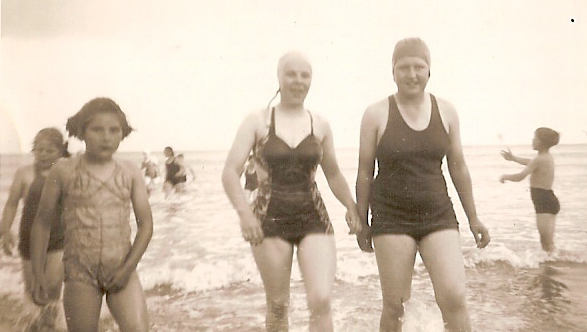 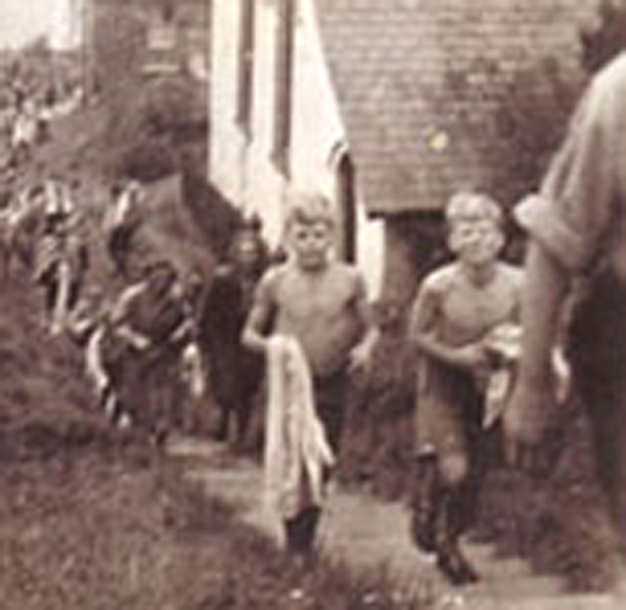 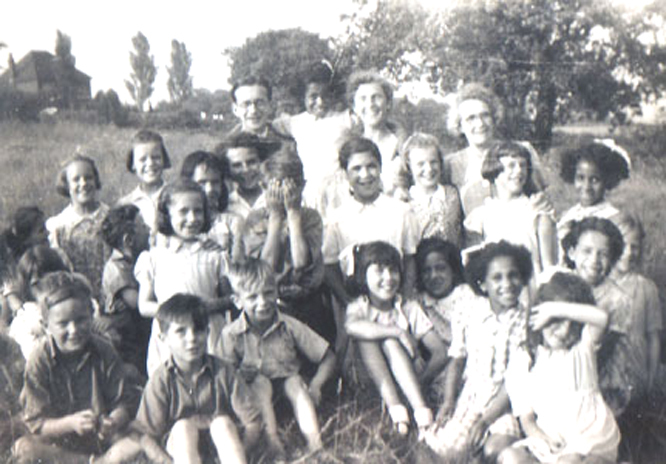 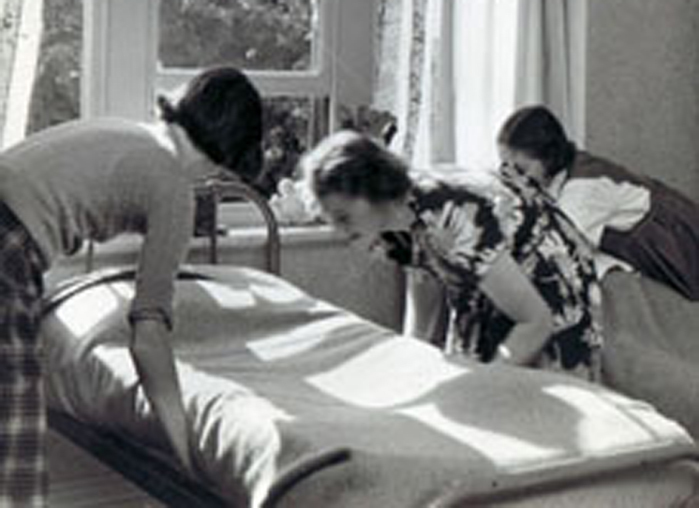 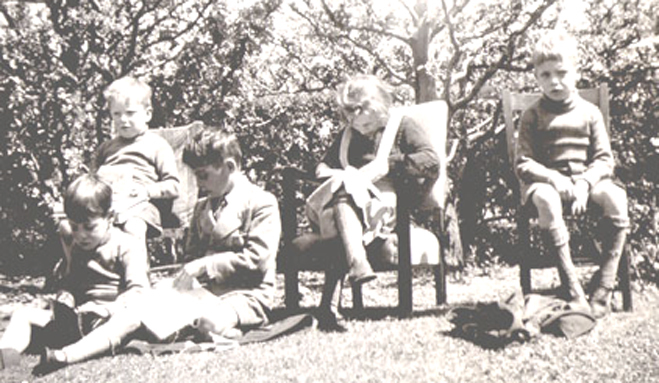 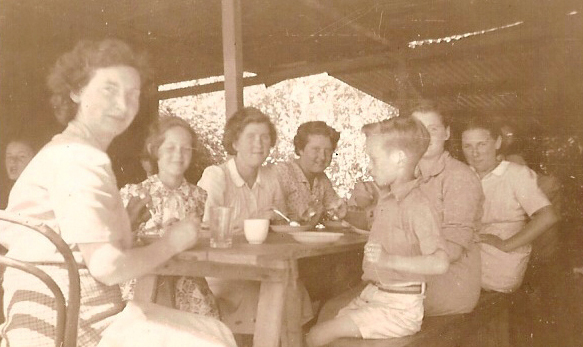 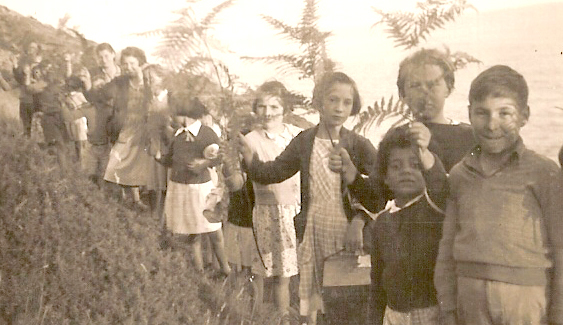 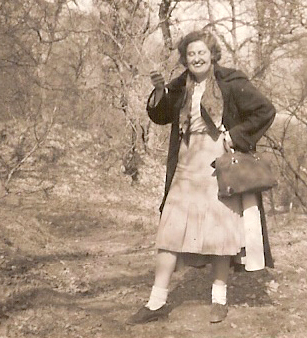 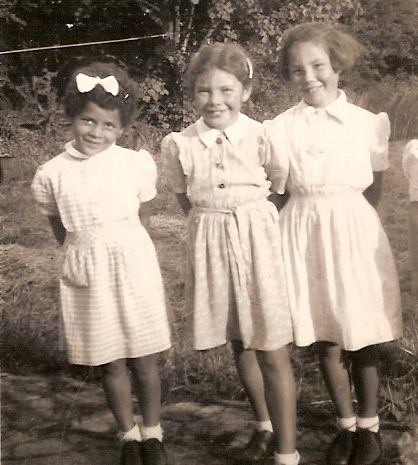 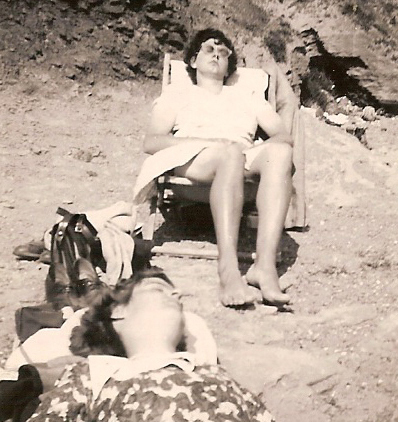 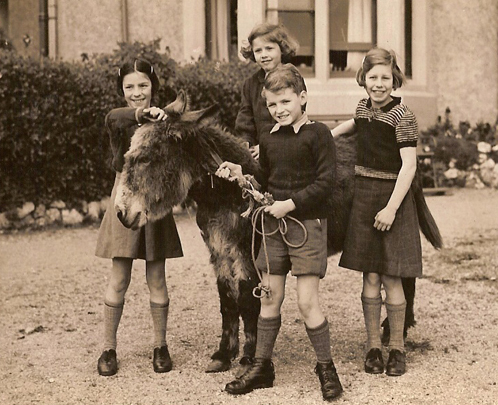 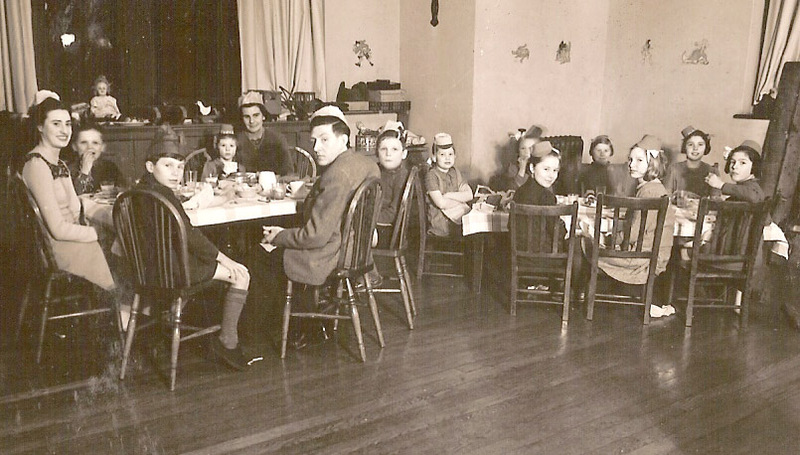 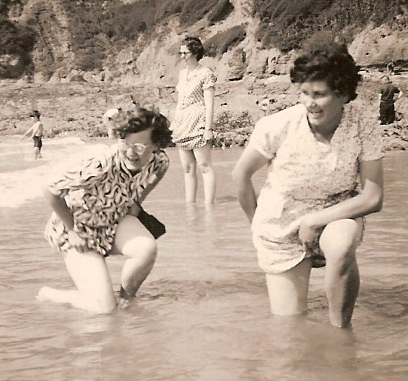 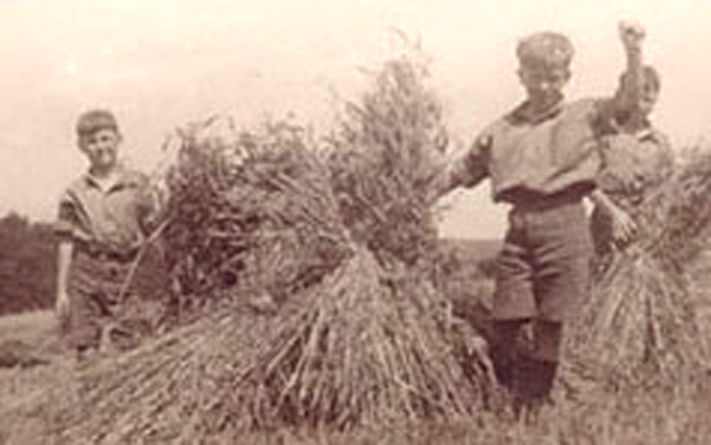 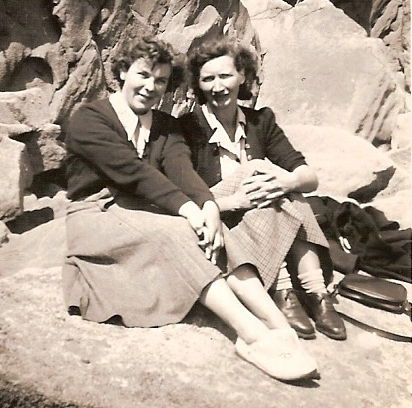 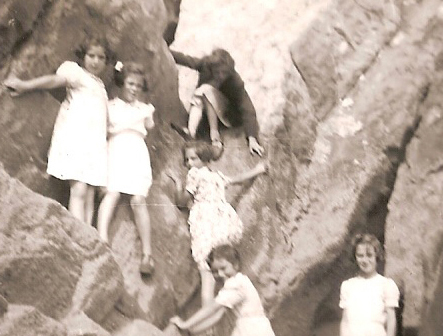 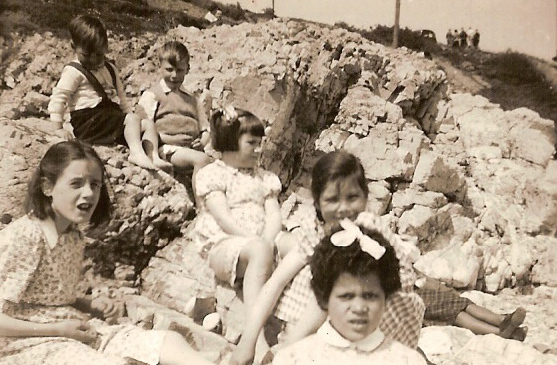 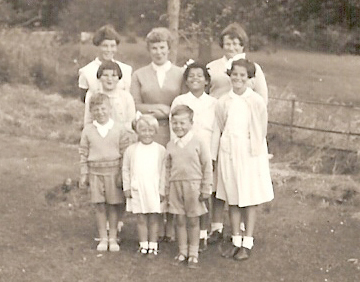 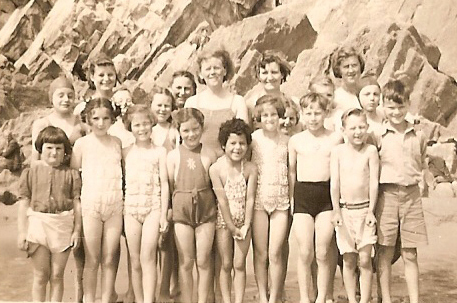 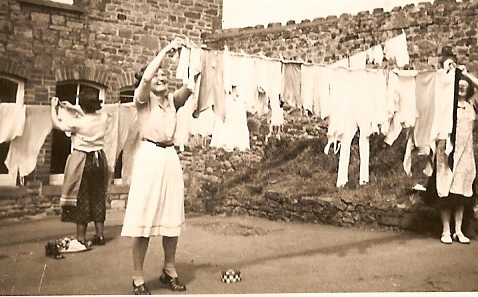 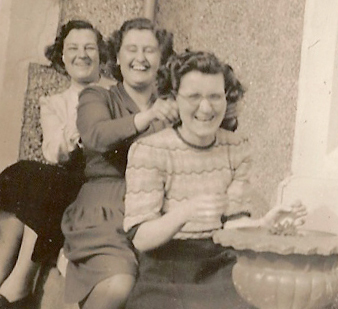 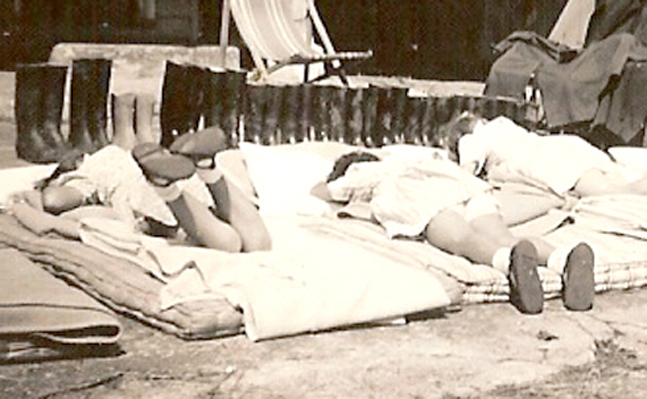 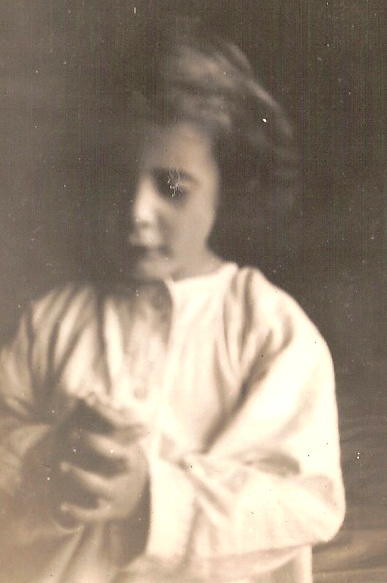 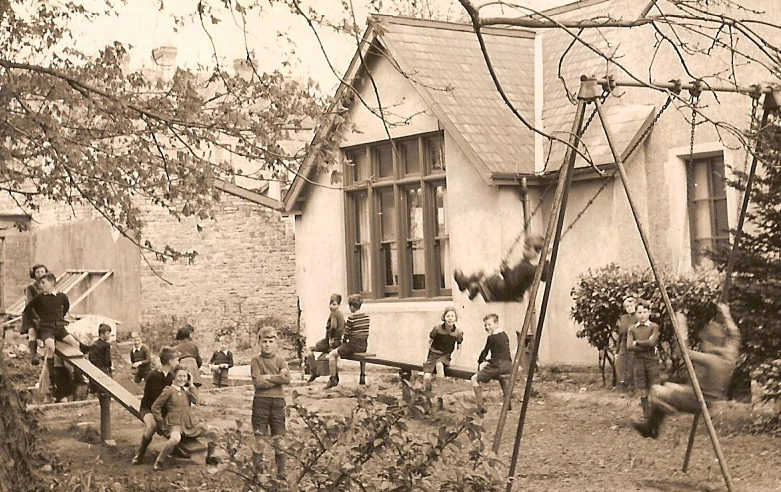 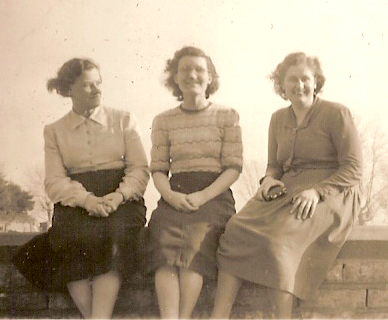 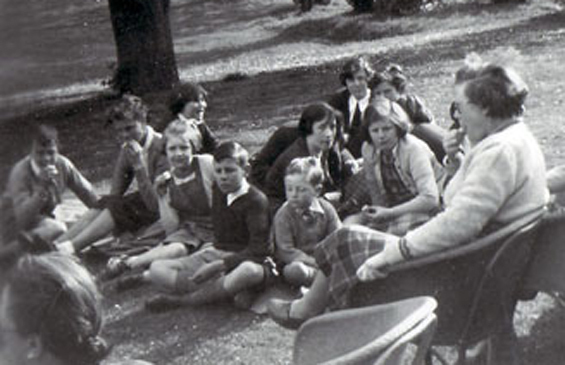 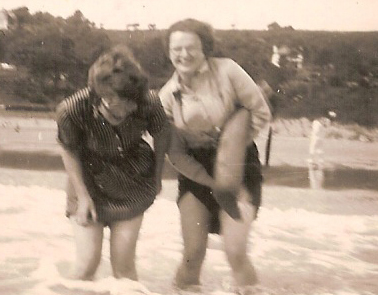 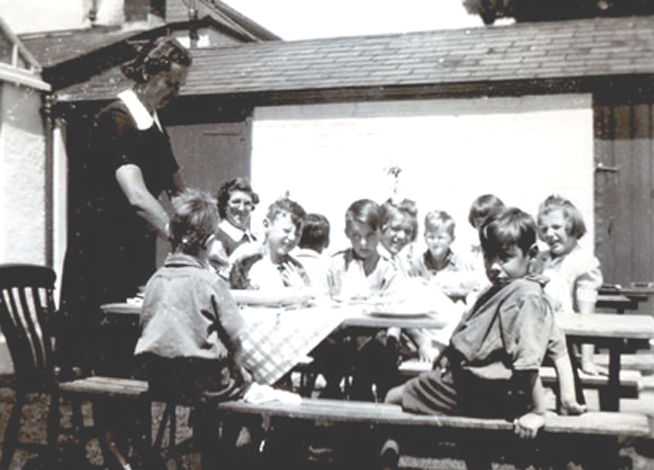 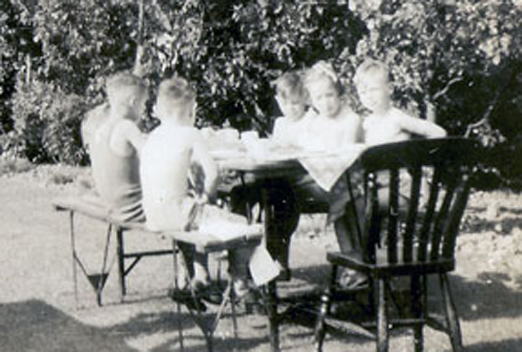 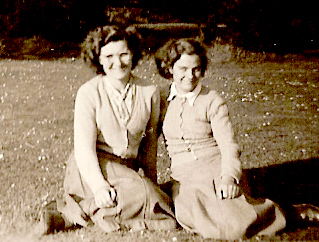 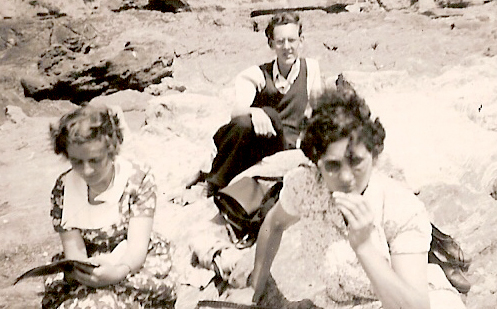 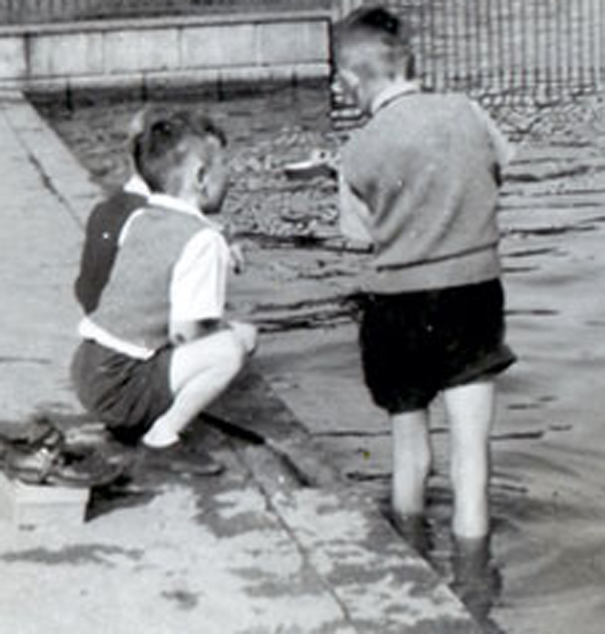 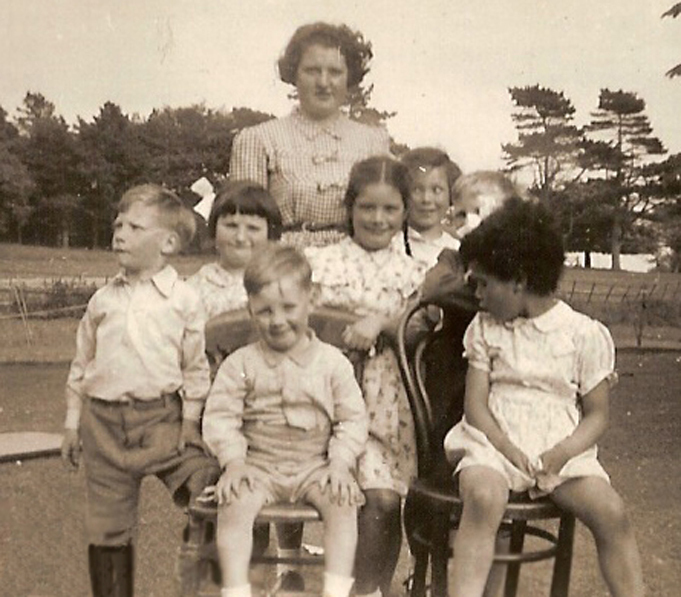 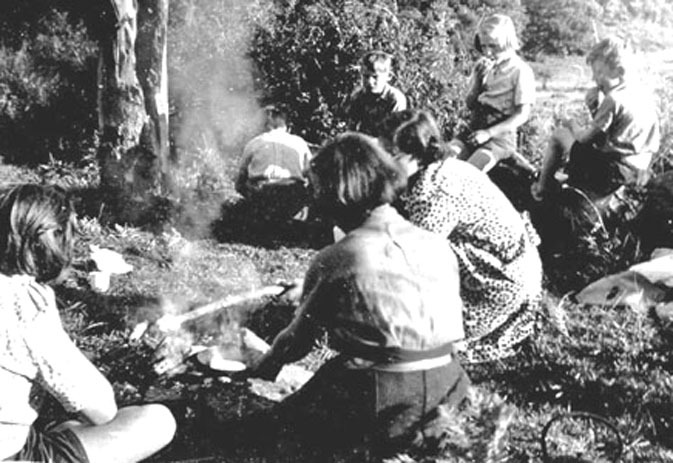 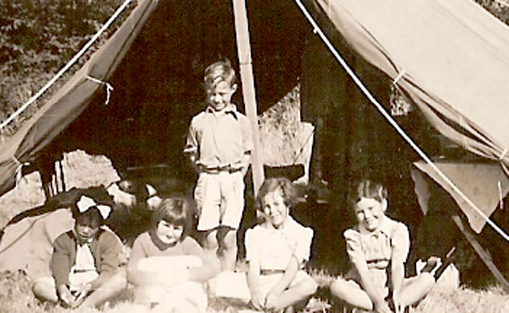 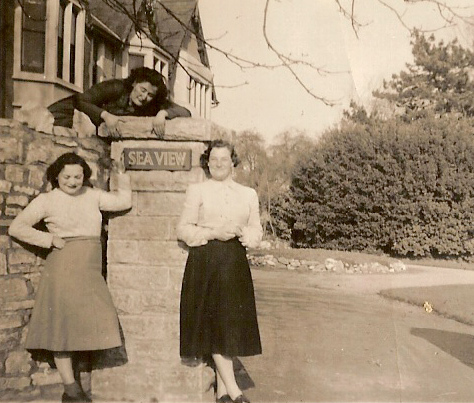 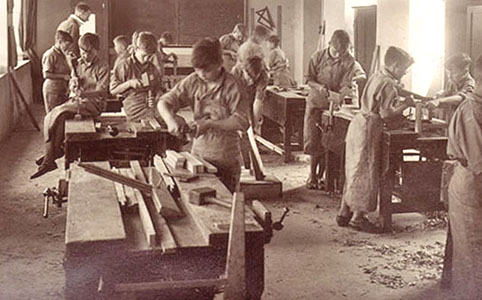 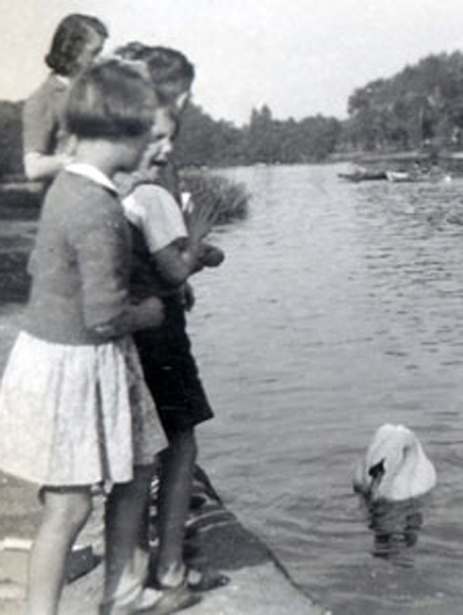 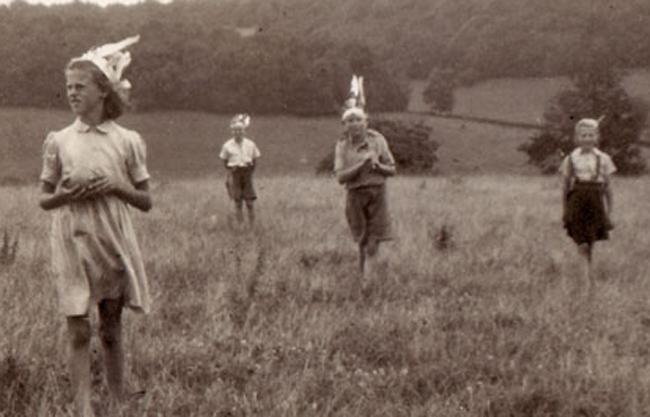 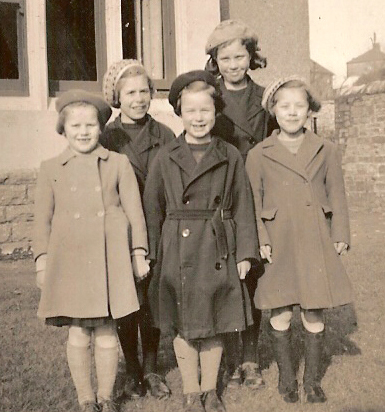 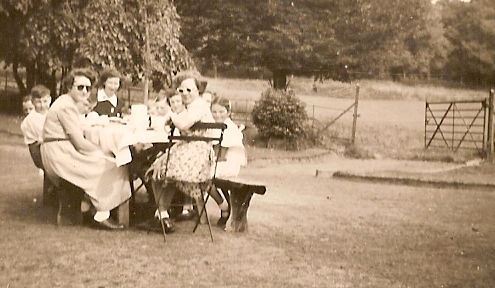 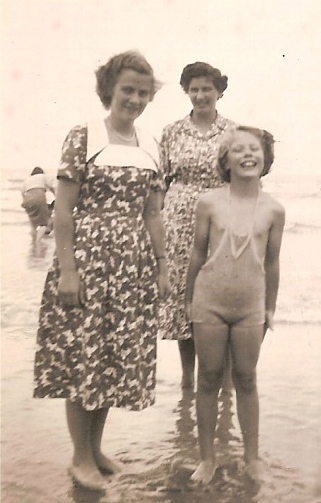 A selection of photographs c.1948 by Sister Florrie. 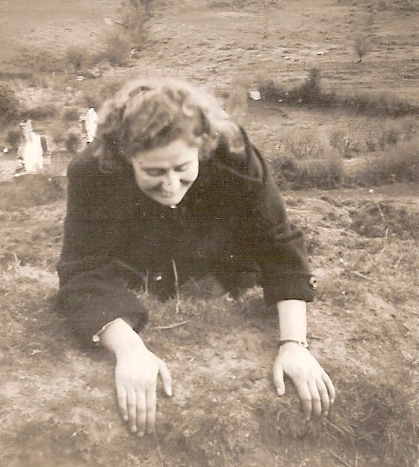 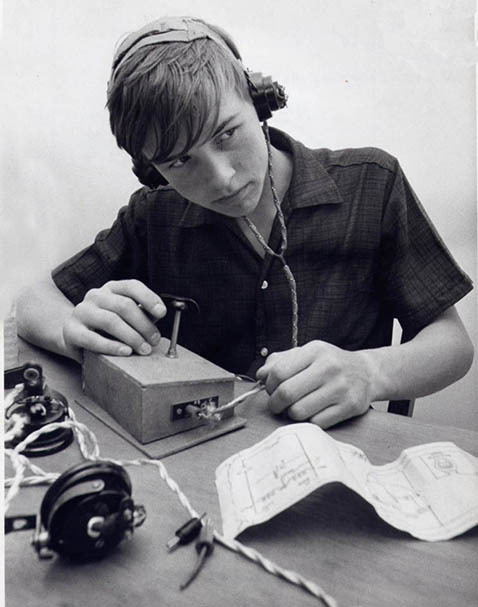 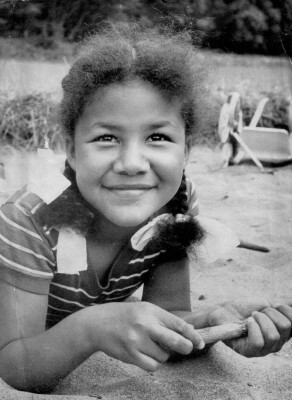 Photographs provided by her daughter. 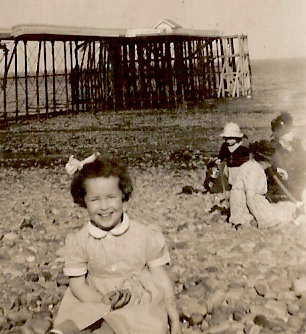 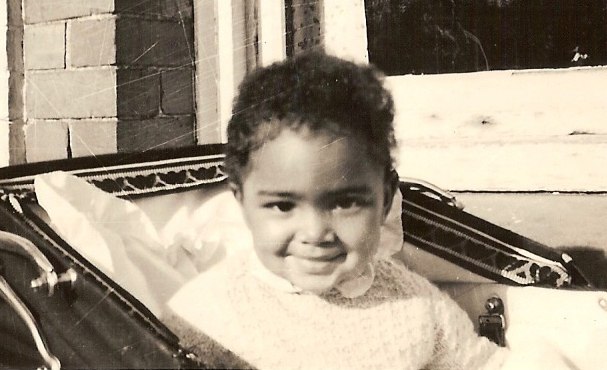 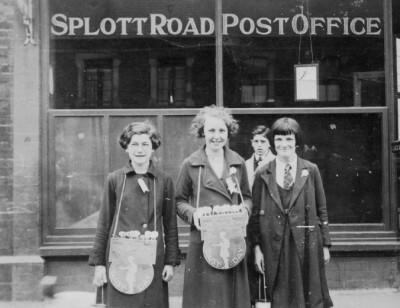 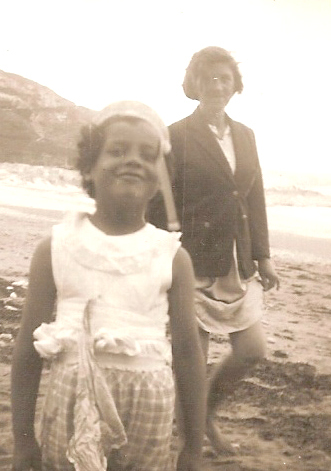 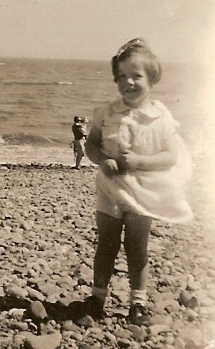 My mother''s name was Florrie Spencer. 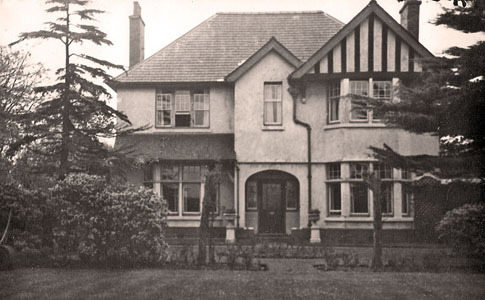 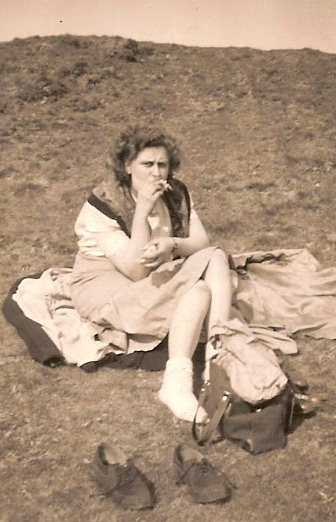 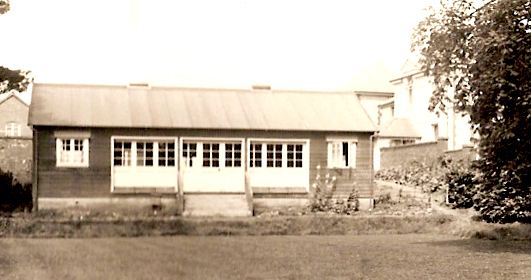 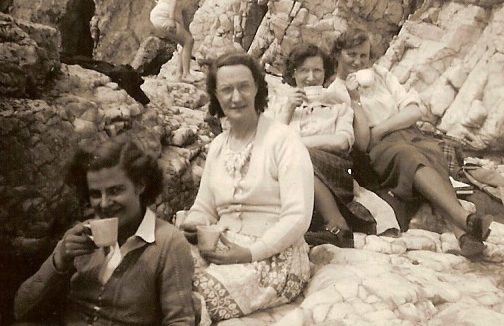 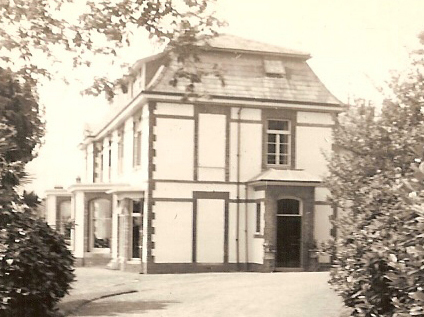 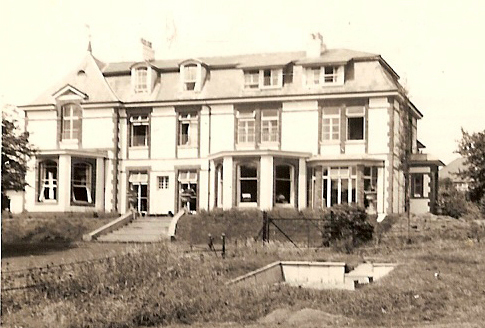 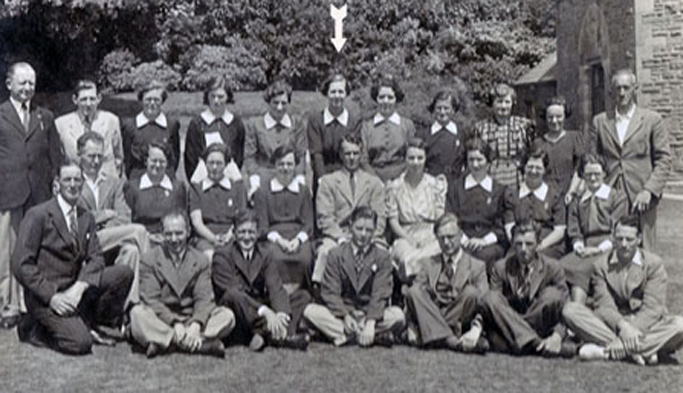 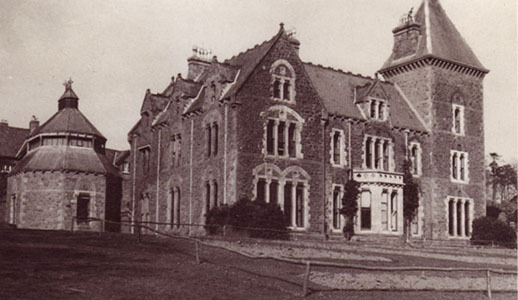 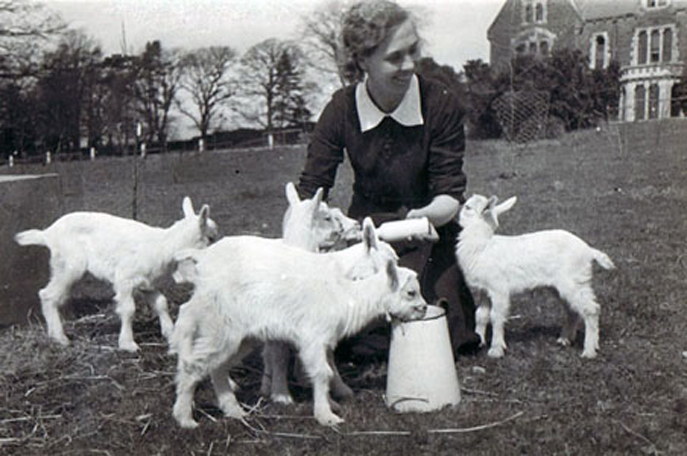 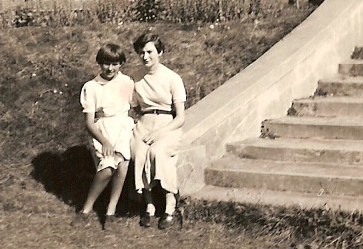 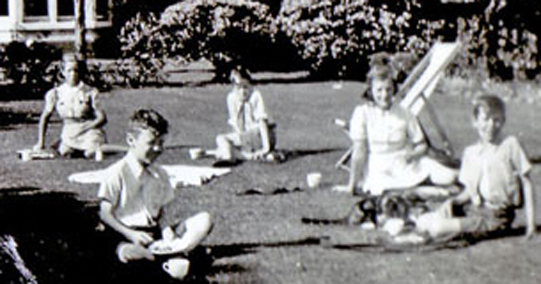 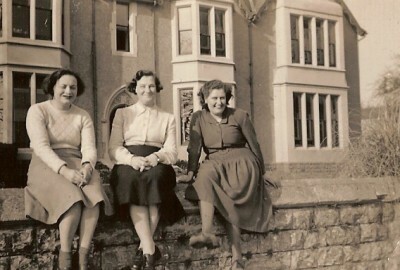 She worked at Penarth between 1947 and 1950 and then went to Killay House in 1950 until 1952. 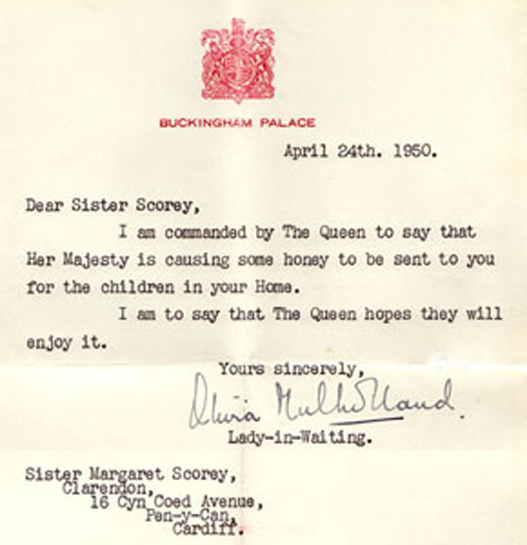 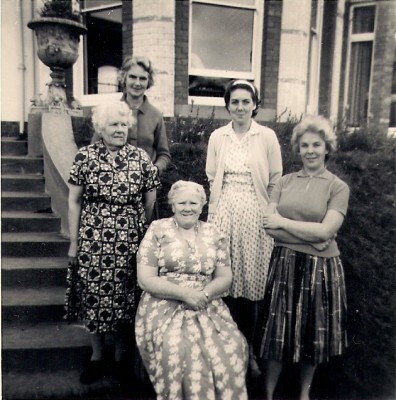 She went to Wales from London where her family lived and returned to live there when she finished. 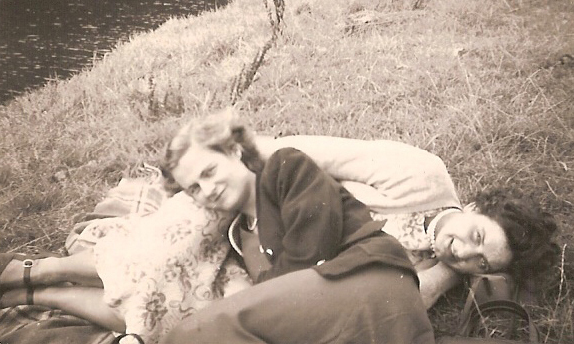 She married my father in 1953 and still lives with him. 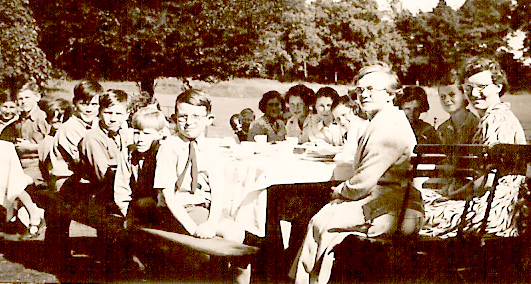 Left click on picture to enlarge. 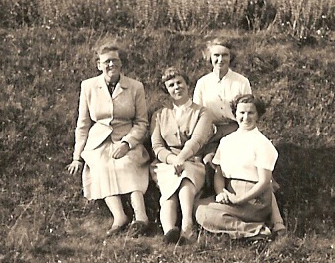 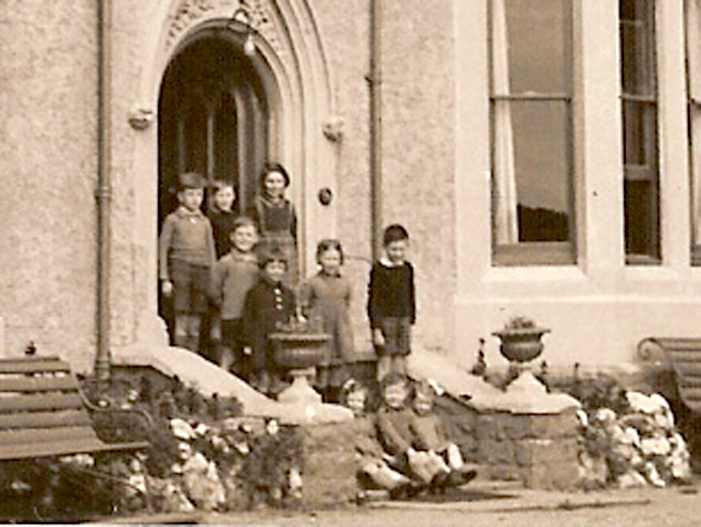 Pictured on the staircase near the main front door at NCH Killay House, Swansea are:- Philip top left, Sharon just below, alongside Philip is Greta alongside Greta leaning against the banister is Glyn. 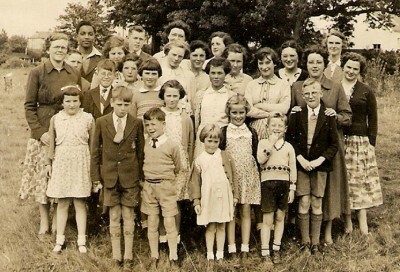 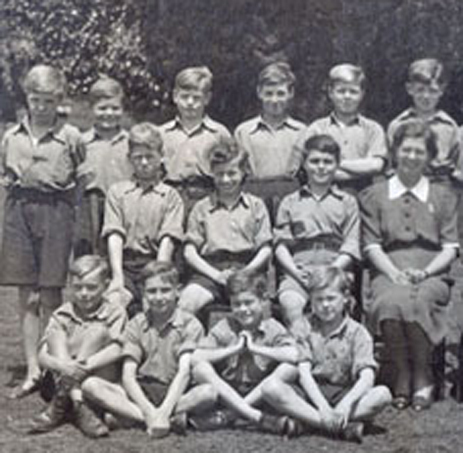 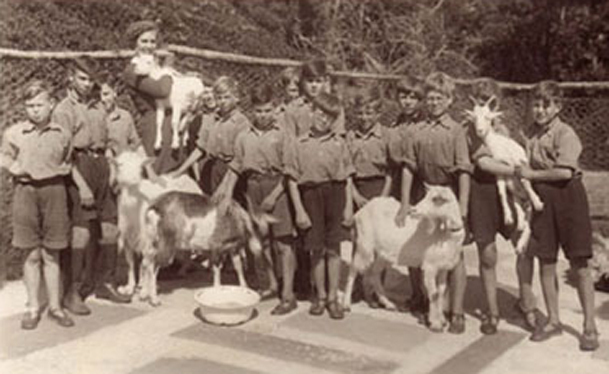 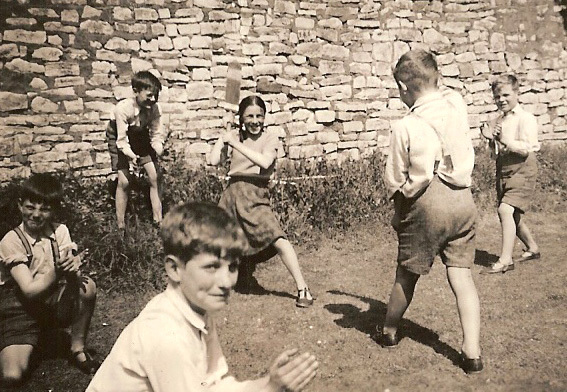 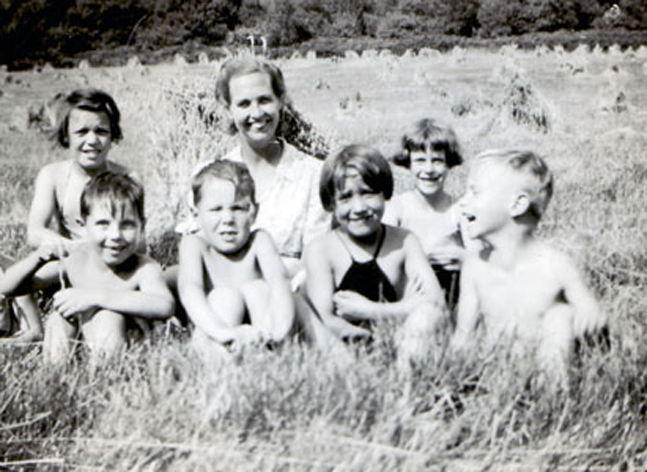 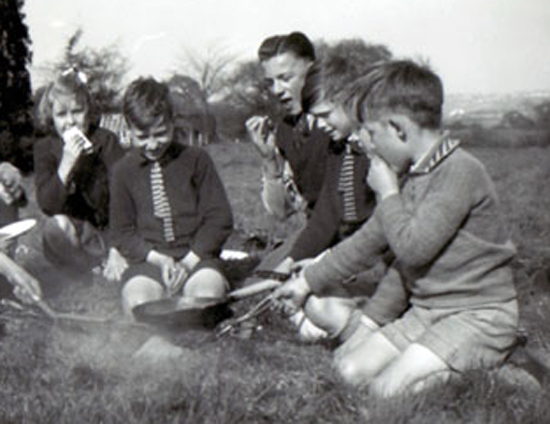 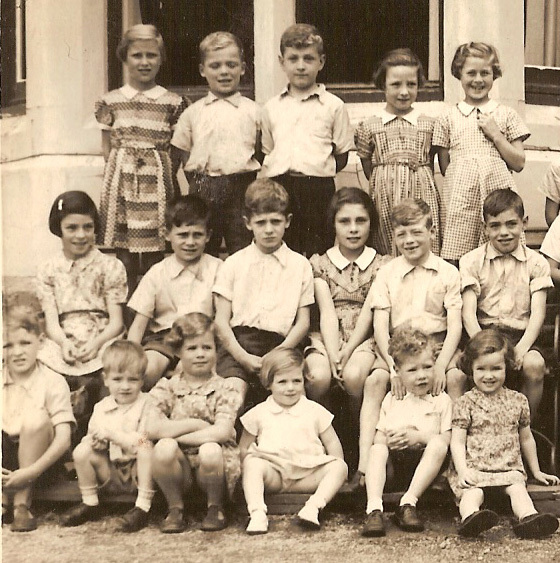 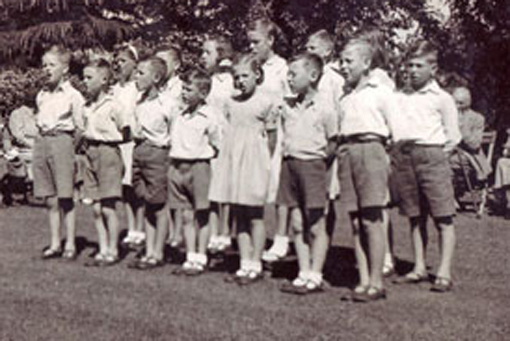 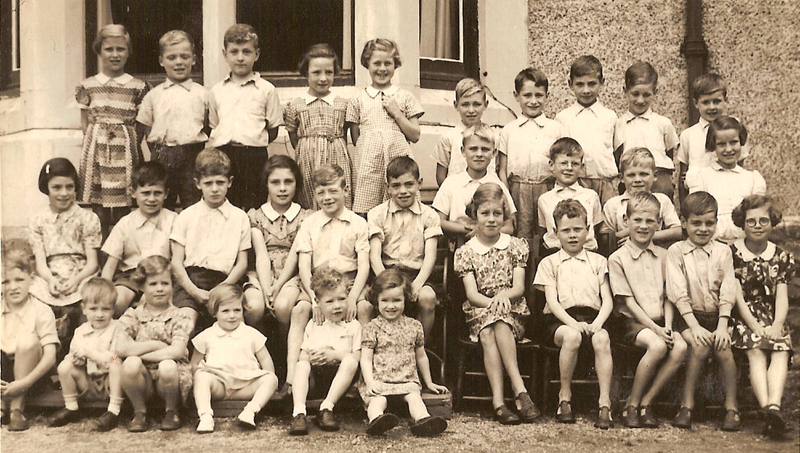 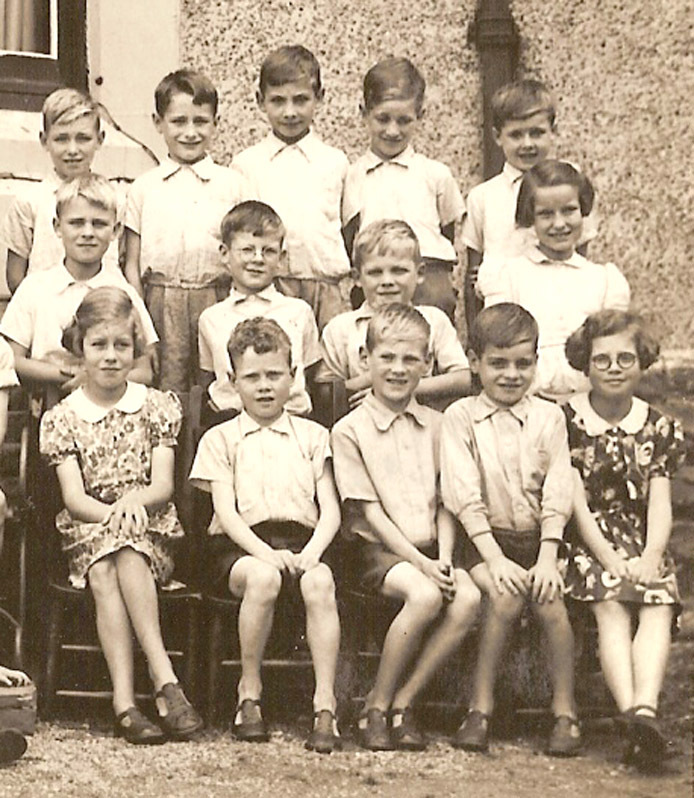 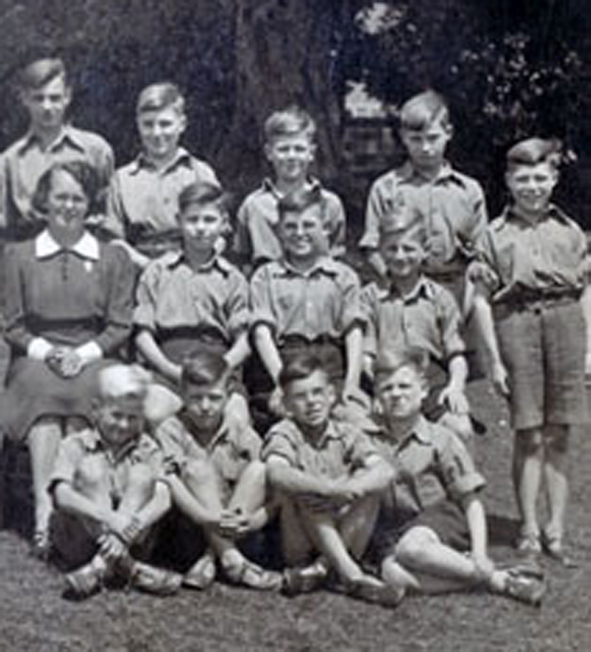 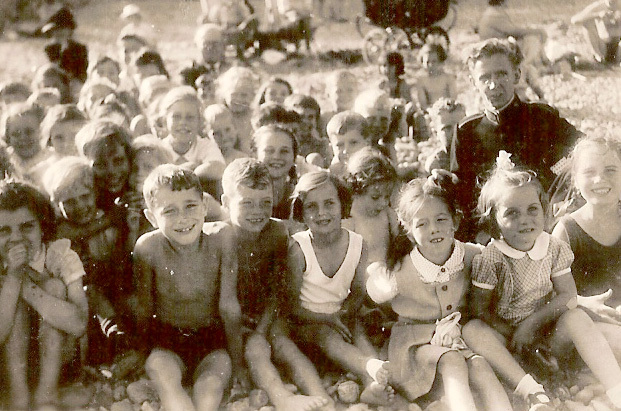 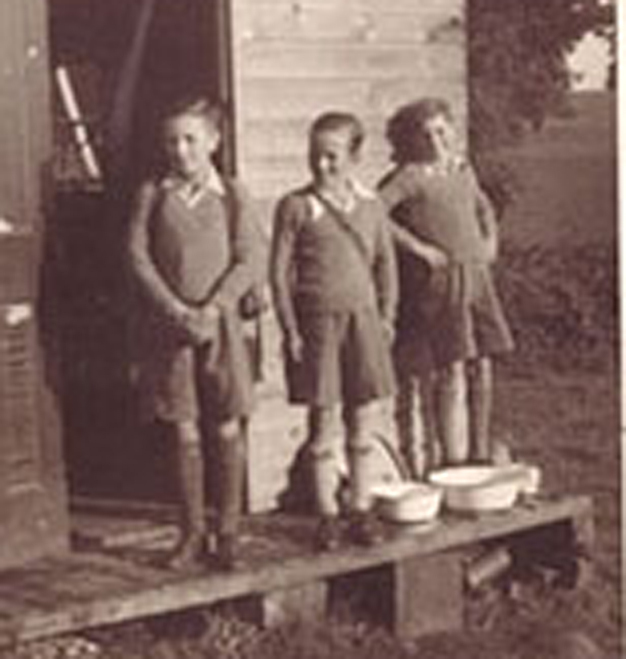 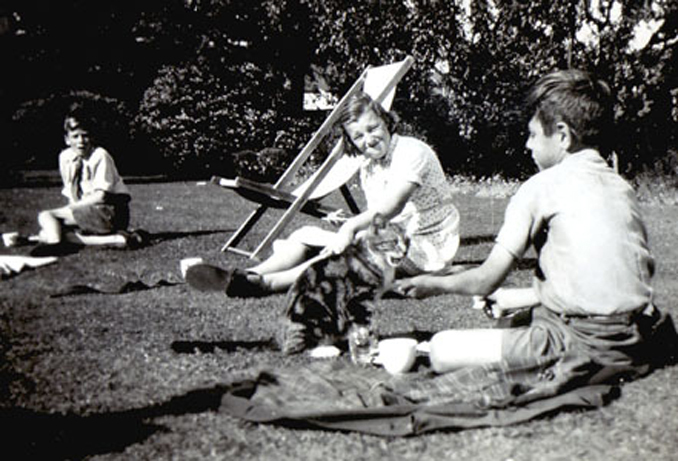 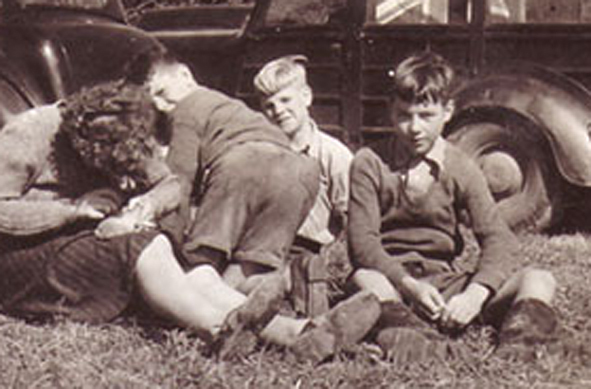 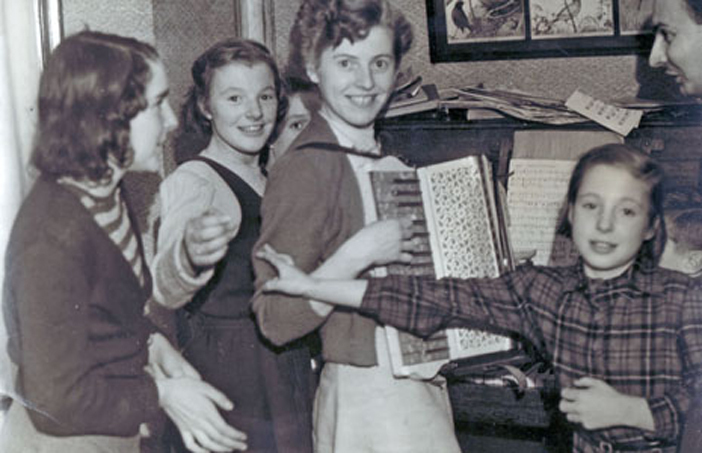 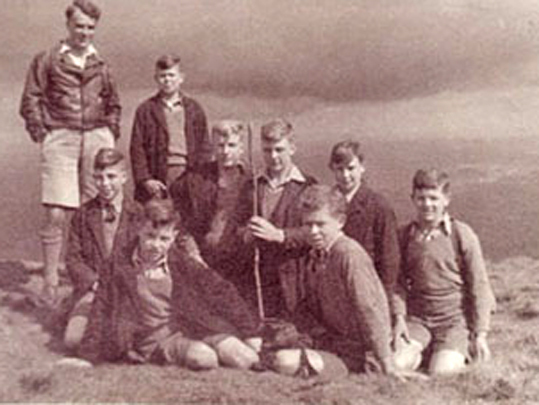 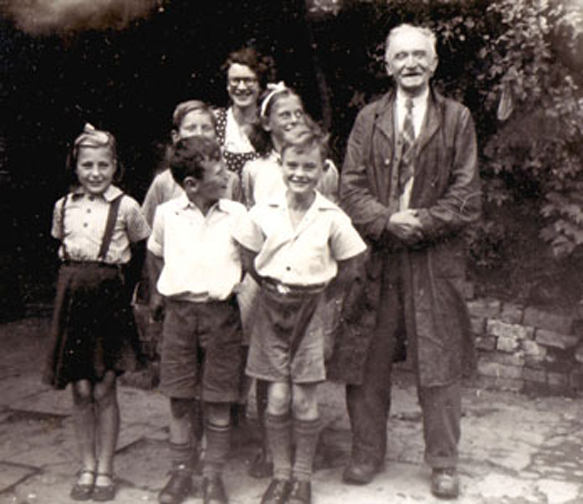 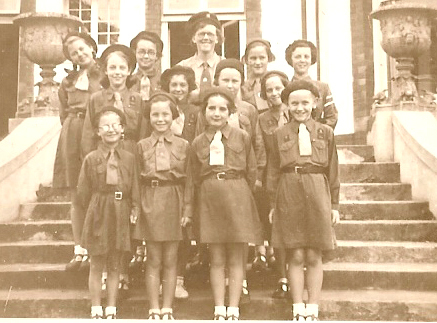 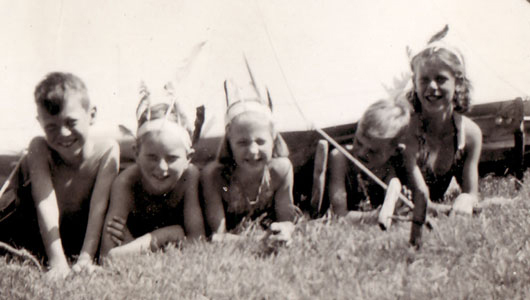 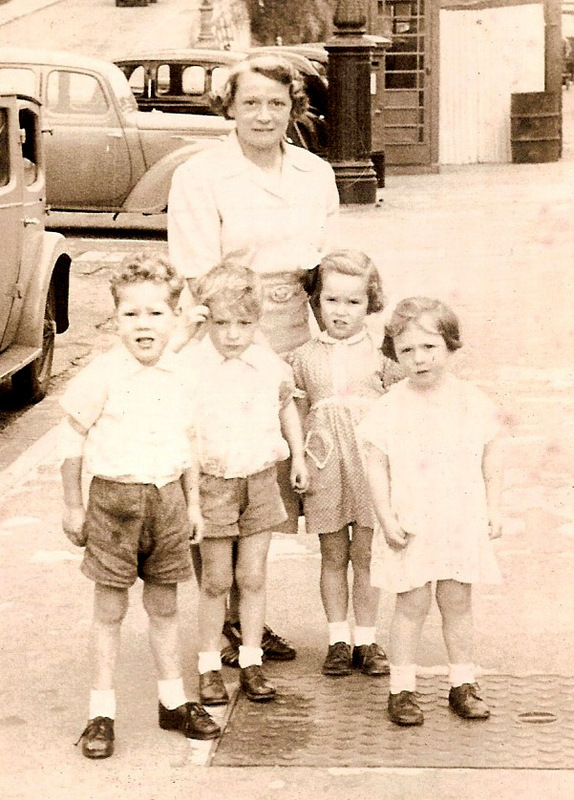 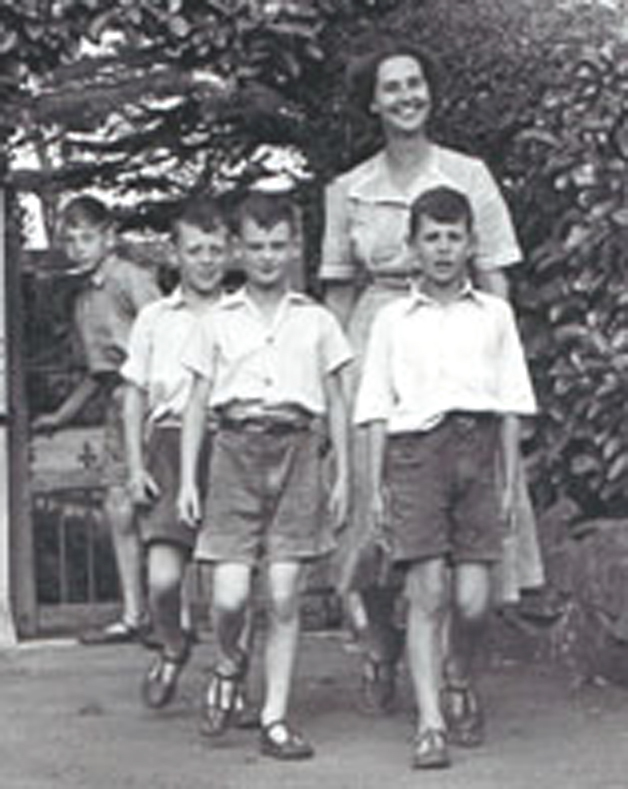 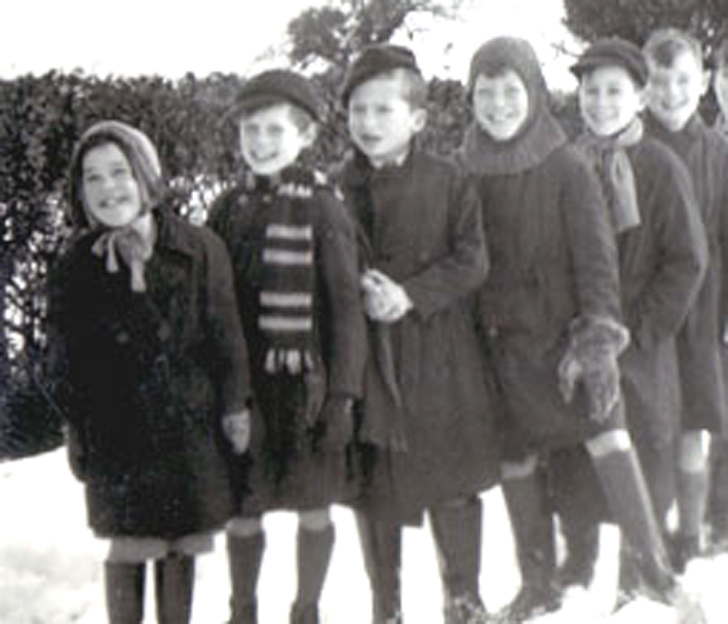 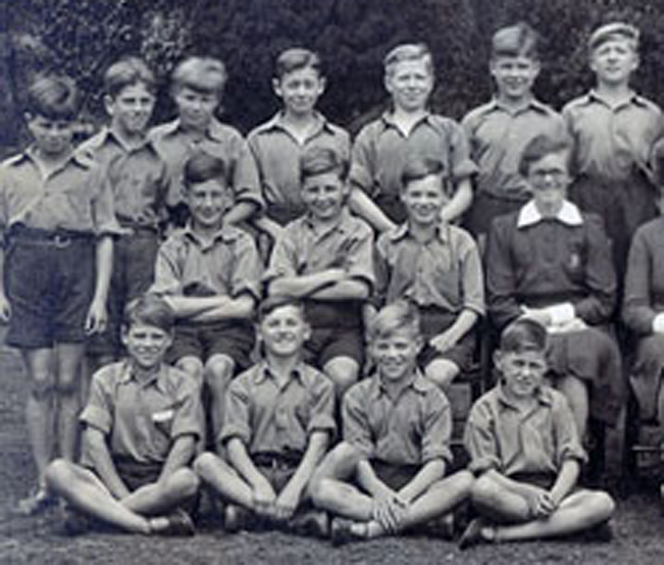 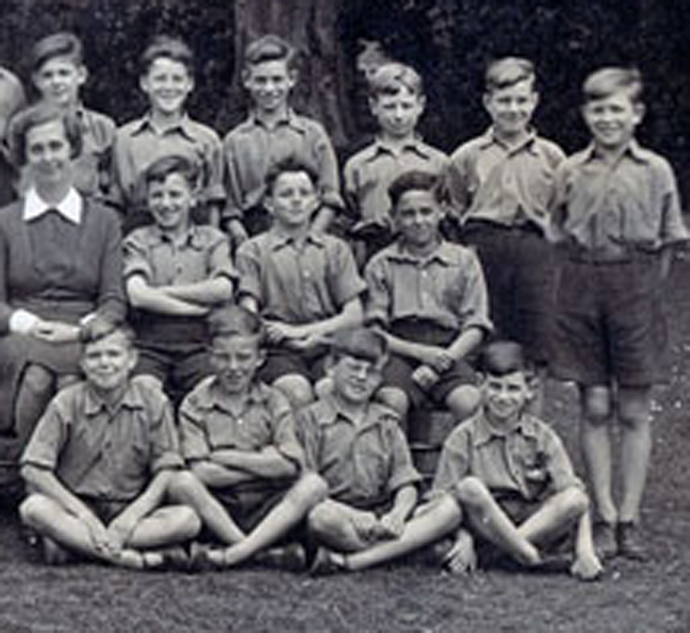 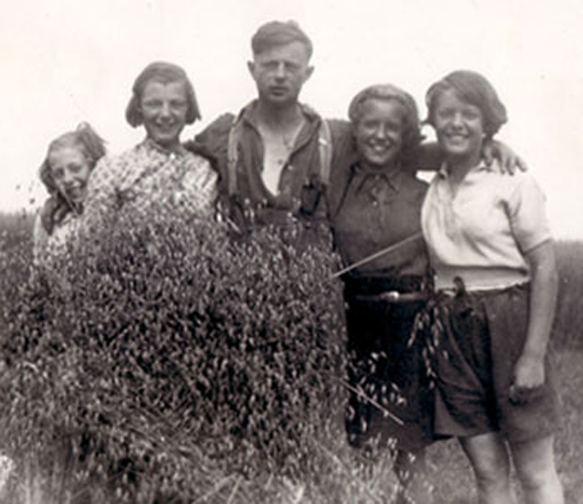 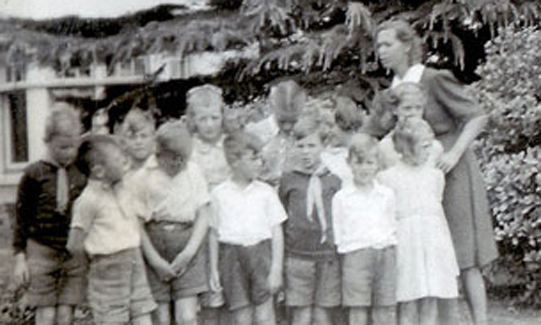 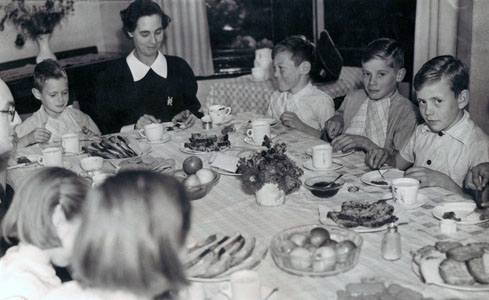 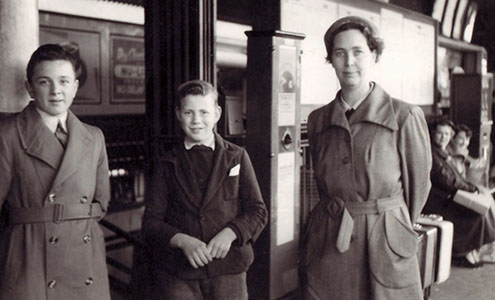 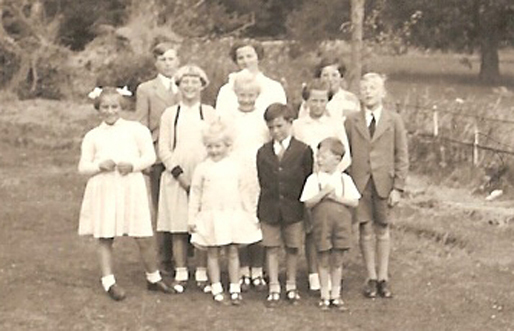 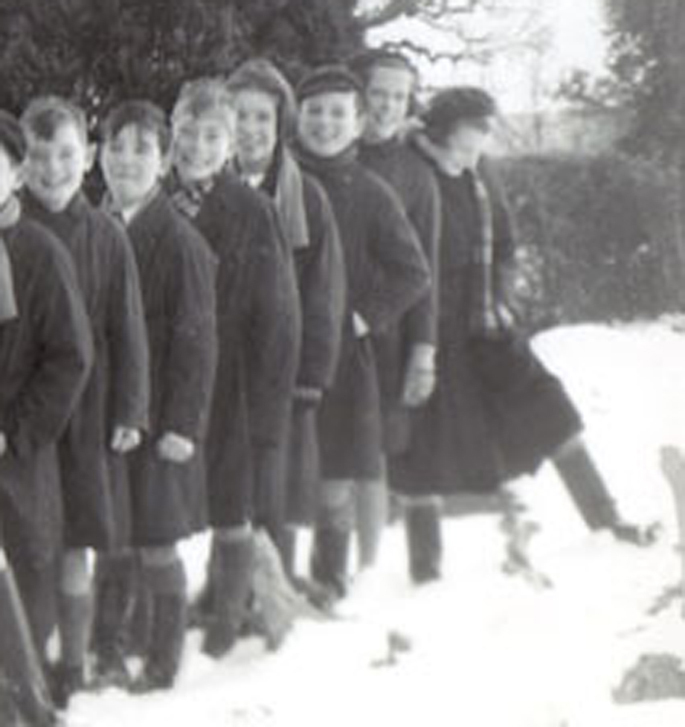 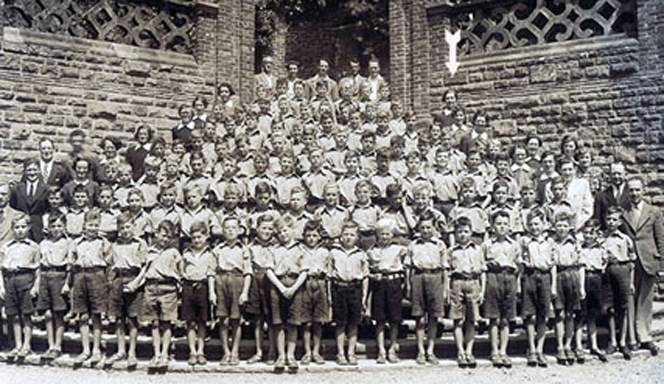 The cheerful character in front of Greta is Hubert , to his right is a happy David , on Hubert''s left is Bernard, Paul in front of David, I think the lad in the centre next to Paul is Alan or Robert, I recognise the girl to the left of Robert but can''t remember her name, I don''t think she is Angela, Hans is in front of Paul, Carmen to the left of Hans, Can''t remember the little girl left of Carmen, Lillian just below, can''t remember the little boy in the centre, I think the girl to the left against the wall on the bottom step is Dawn. 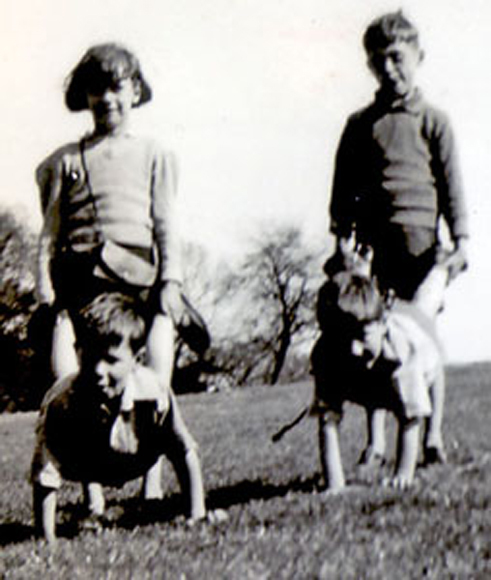 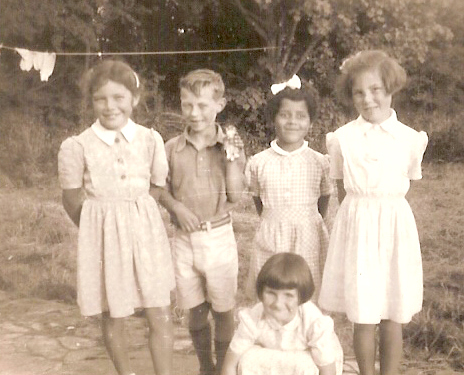 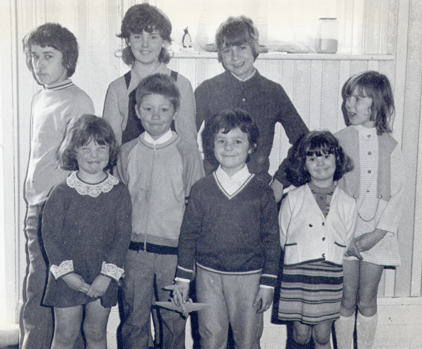 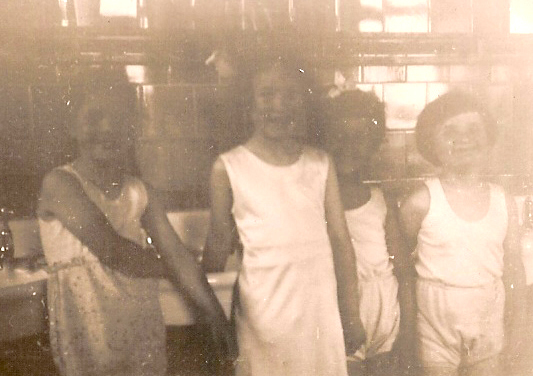 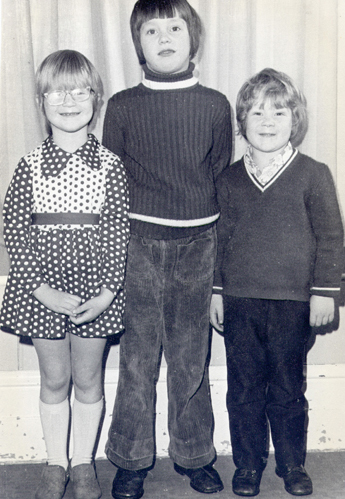 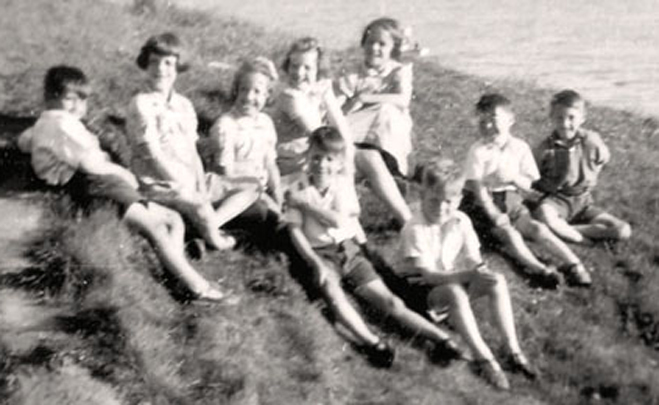 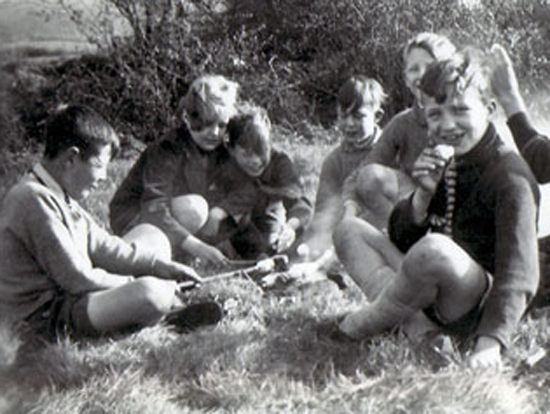 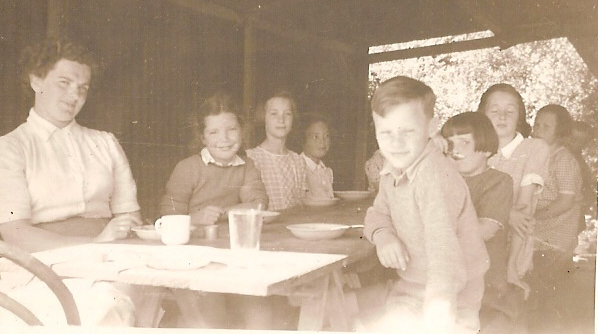 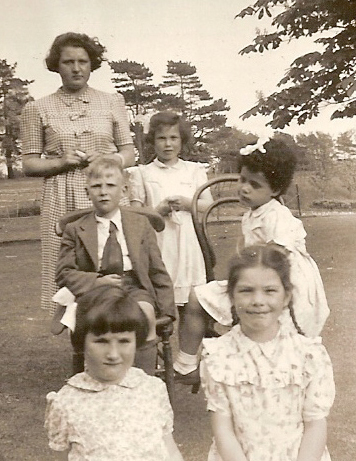 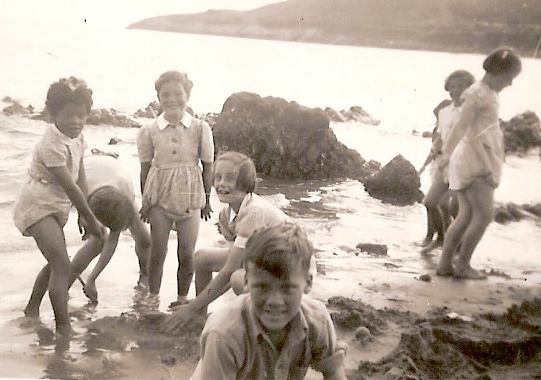 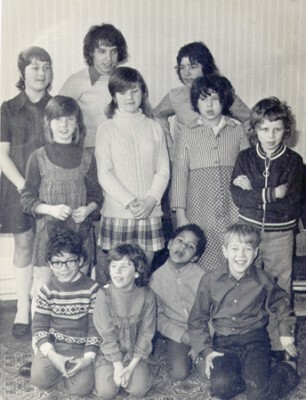 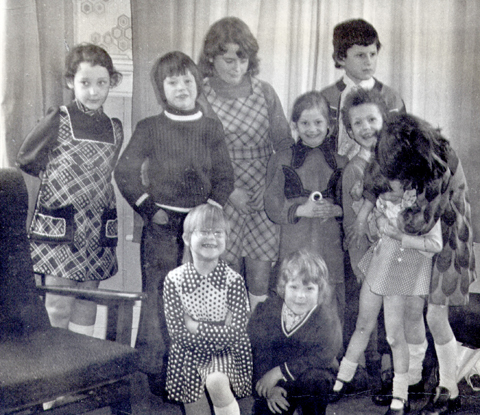 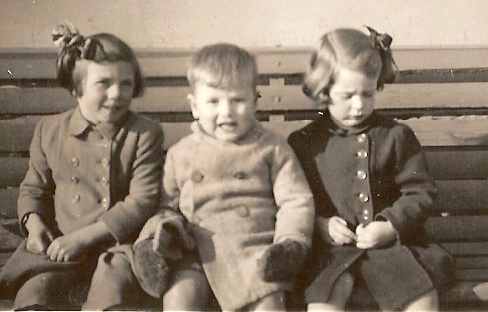 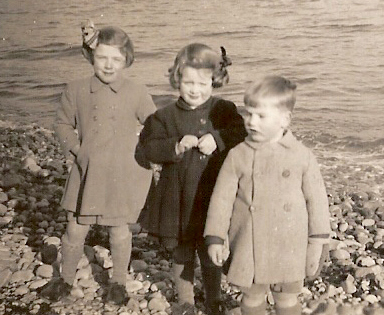 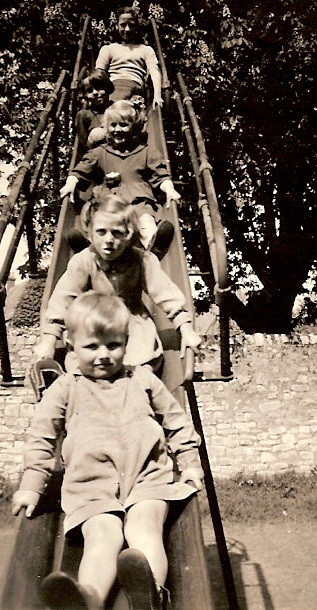 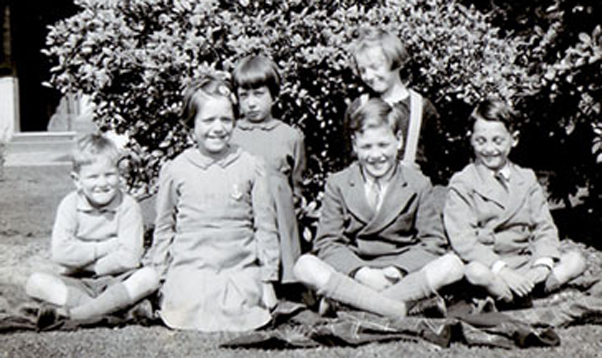 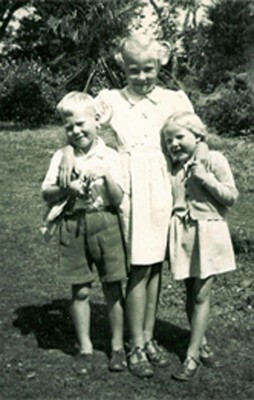 Can''t remember the names of the two girls in front, the boy on the left is Mark, roughly same age as Philip. 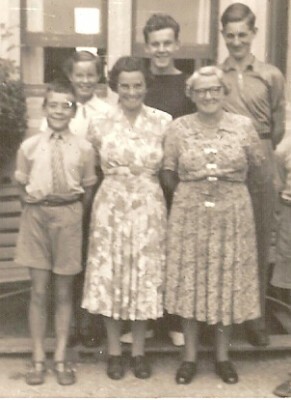 Timothy is standing at the back, Kay, Jane , Christopher. 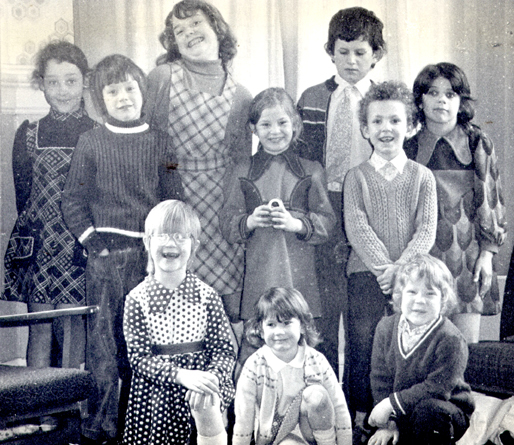 I would put the date at Christmas 1972. 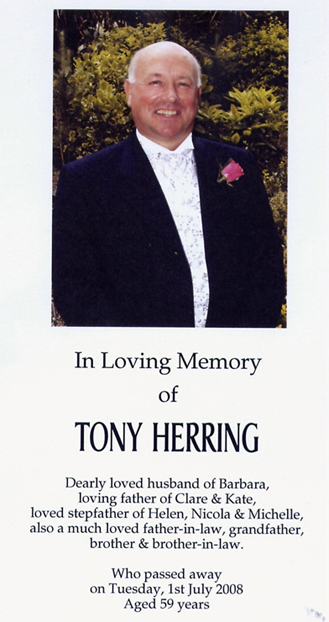 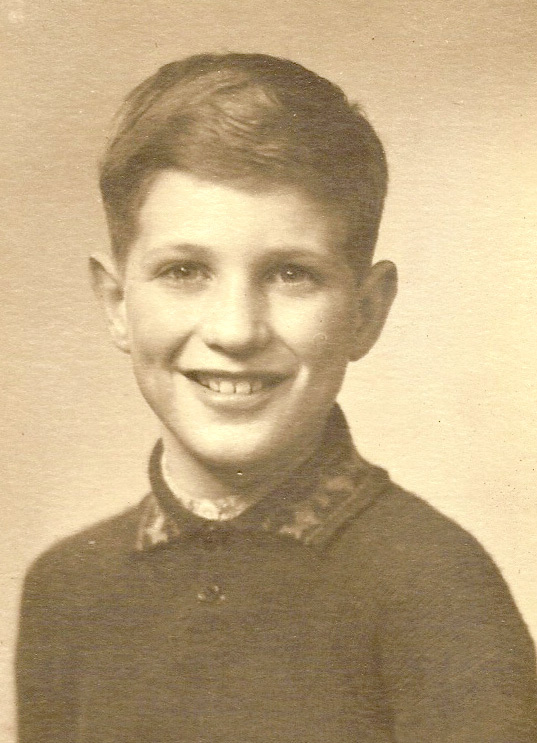 CUNNINGHAM Thomas Emmett (Tom) After a long illness, bravely bourne, passed away at Immacolata Nursing Home, Langport, Somerset, England,on July 20th. 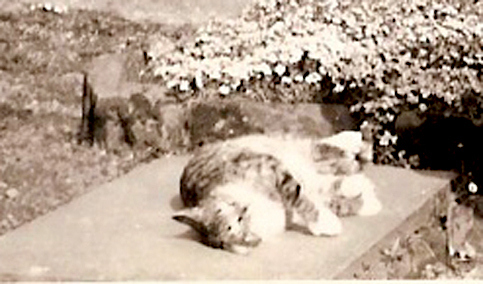 Late of Killay N.C.H. 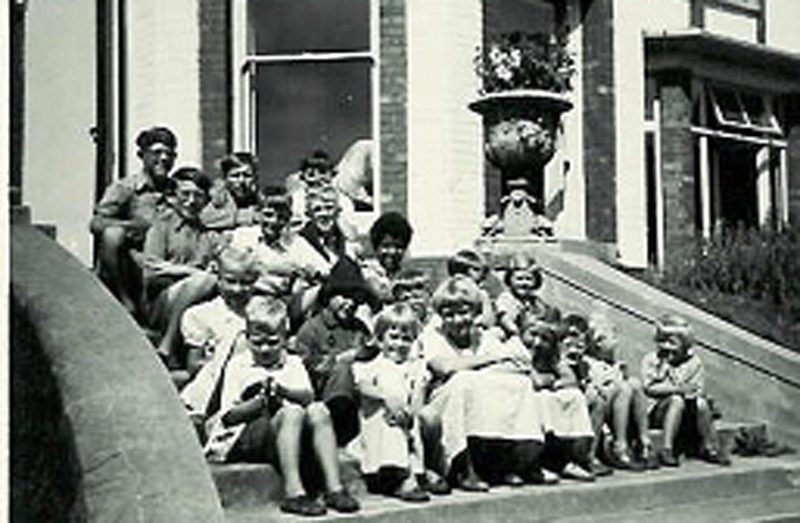 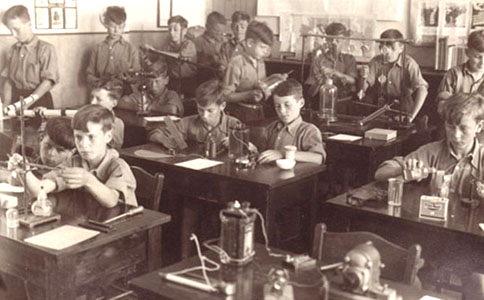 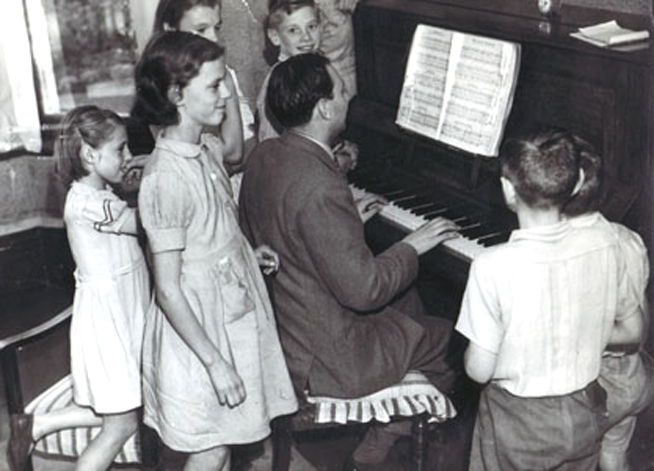 childrens home. 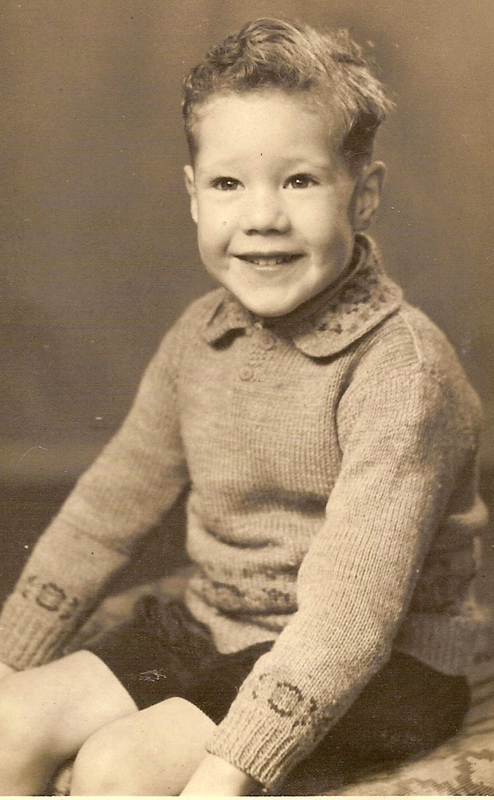 Much loved husband, step-father, grandfather, great grandfather, brother, uncle and a friend to many. 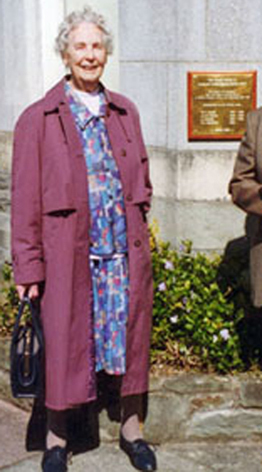 The funeral service takes place on Wednesday 29th July, at 10.00 am at The Church of the Holy Ghost, Yeovil, followed by committal at Yeovil Crematorium, at 12 noon. 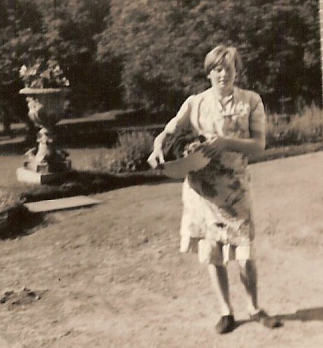 Family flowers only but donations kindly invited for Cancer Research. 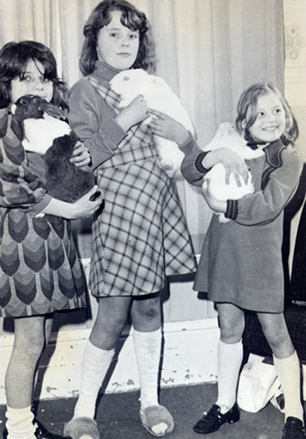 For more photos, please visit.